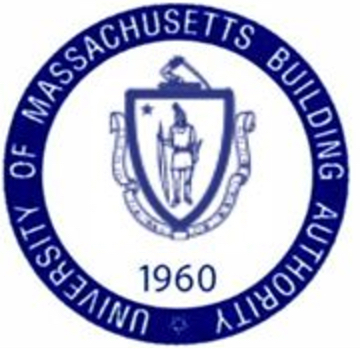 The UMass Building Authority (UMBA) is a distinct, public organization established by the Massachusetts Legislature in 1960. Its mission is to build facilities on the University of Massachusetts campuses that could be financed from student fees and charges. Facilities include student dormitories, dining facilities and parking garages. For a listing of the Authority’s projects, please click here. In recent years the Authority has expanded its role and now builds academic buildings, laboratories, athletic facilities, heating plants, and other facilities, as well as providing funding for the repair and renovation of existing campus facilities. In order to construct facilities, the Authority borrows funds by issuing tax-exempt bonds. The University has pledged to pay the principal and interest on the bonds issued by the Authority over the life of the bonds. The Authority is also responsible for the construction of these facilities and hires architects, engineers and construction firms to design and build them. After the facilities are completed, they are used and maintained by the University while the Authority maintains ownership of the buildings. By statute, the Authority has eleven members, appointed by the Governor, who oversee the activities of the Authority. Five of these members are also Trustees of the University of Massachusetts. Two of the six non-trustee Members must be graduates of the University. The mission of the University of Massachusetts Building Authority (UMBA) is to serve the University of Massachusetts and each of its five campuses through the planning, financing, design, construction, acquisition, capital maintenance, and replacement of University buildings, infrastructure, and real estate. The Building Authority has a broad mandate to provide facilities for the use by the University and by other entities affiliated or approved by the Trustees of the University. UMBA will serve the University and its campuses by performing with the highest levels of integrity and professional quality; by promoting accountability and efficiency throughout the capital program; and by tailoring its services to the needs and capabilities of each campus. Thank you very much for visiting our new dedicated investor website. We appreciate your interest in Univeristy of Massachusetts Building Authority (UMBA) bonds and appreciate your investment in the critical infrastructure projects that UMBA is undertaking to move our five university campuses into the 21st century. As a major bond issuer, we are very proud of our 'AA' bond ratings. We are committed to doing everything we can to maintain high bond ratings for our investors. We are also committed to being a disclosure leader in the municipal bond market. Transparency is the major tenet of how we operate UMBA, and we make transparency a priority in every program we manage. I hope the website makes it easier for investors to better understand UMBA's credit fundamentals. Please do not hesitate to contact me or my staff with suggestions on how we can do a better job.